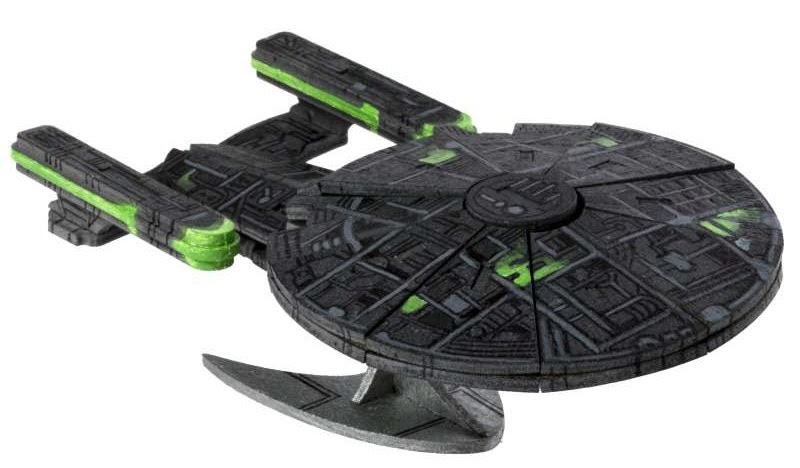 Insight Editions are adding two new Star Trek releases to their range of Incredibuilds book and model kits. 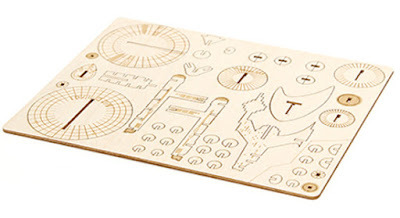 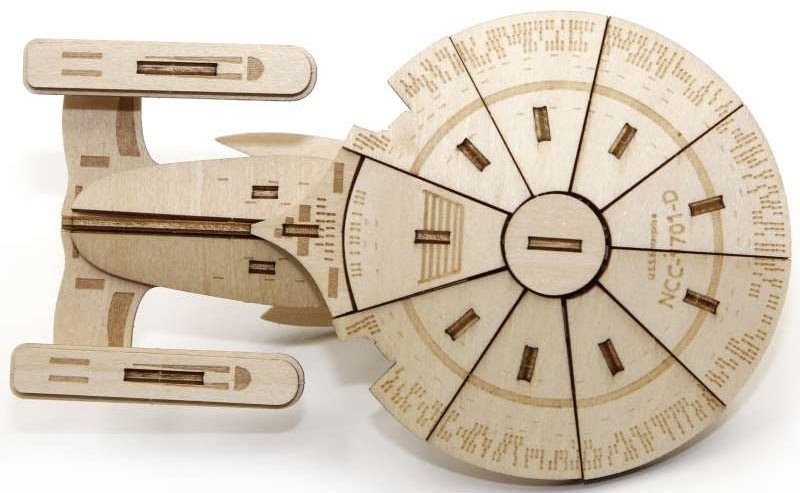 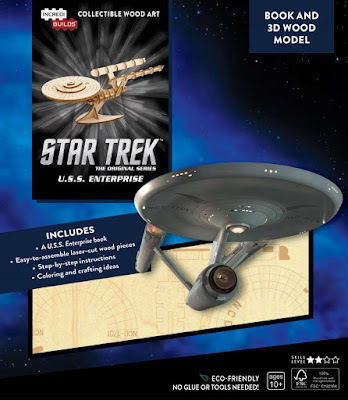 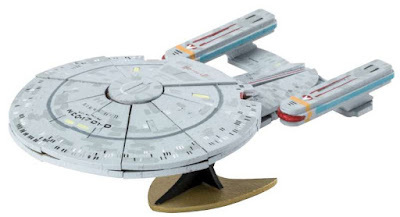 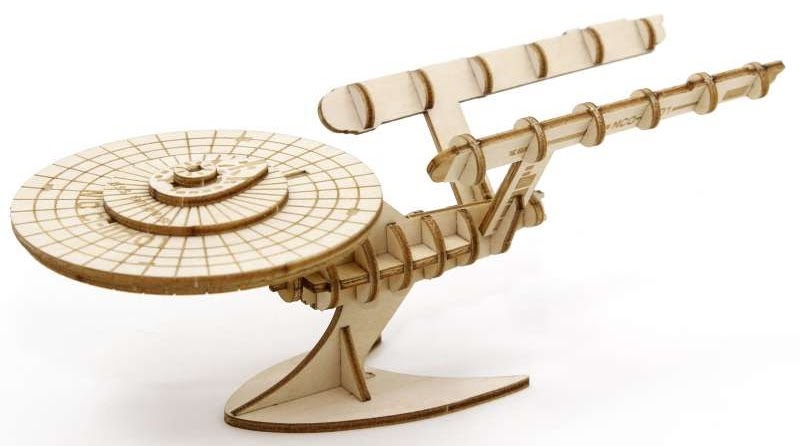 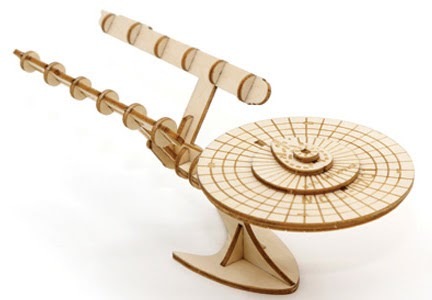 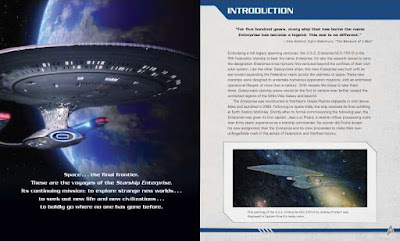 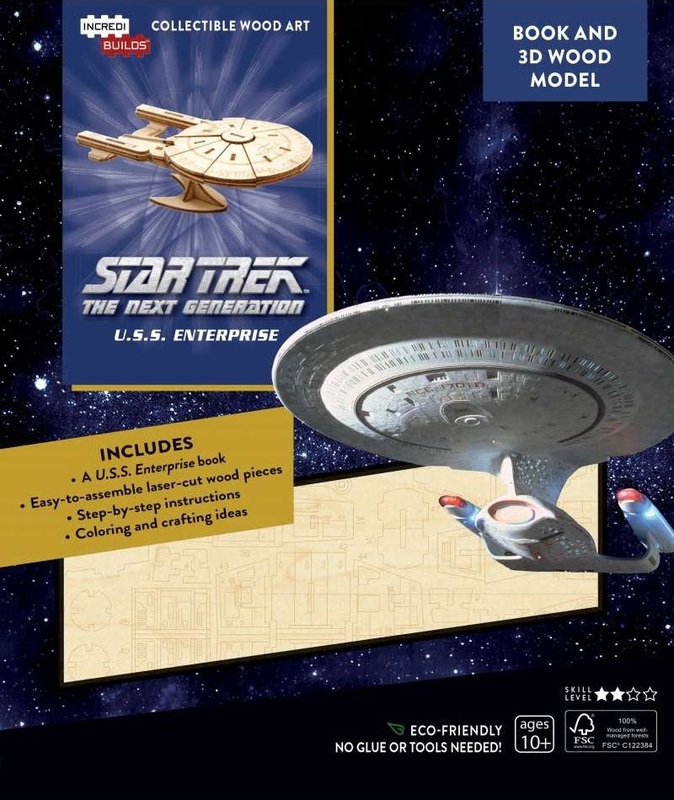 Featured will be the USS Enterprise from TOS, and USS Enterprise-D from TNG, both rendered in laser-cut wood, and coming with a 32-page book detailing each ship written by Star Trek novelist Dayton Ward. 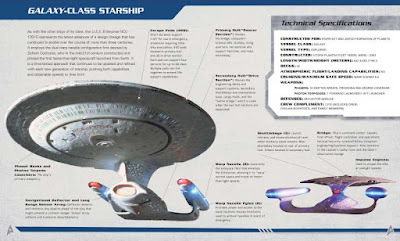 For both Enterprise editions, I took a similar approach, so you’ll get a brief rundown of the ship and their place in Starfleet history, as well as a look at each filming model’s design and creation for their respective television series. 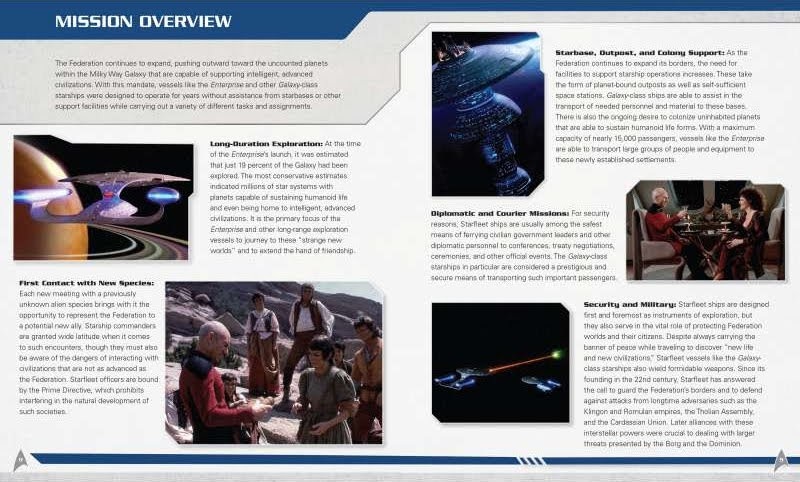 Lots of pictures are jammed into both books, as well. 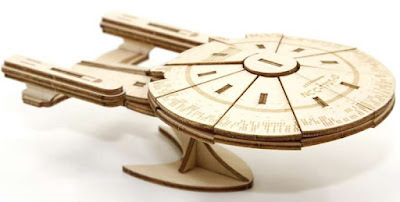 As for the models: The parts pop out of a sheet of wood, and snap together with ease, following the included instructions, which also have suggestions for further crafting projects using the models (some of which are pretty cool as you'll see below). StarTrek.com and Australian retailer Dicebox have released images of both kits, continue below to check them out. There are also some images of the painting suggestions, including a regular starshipy take, and a really cool Borgified version! 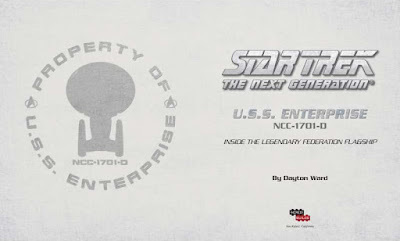 The more cylindrical USS Enterprise comes out a little gappier rendered in this format, but still looks decent I think, almost like a cut-away model. 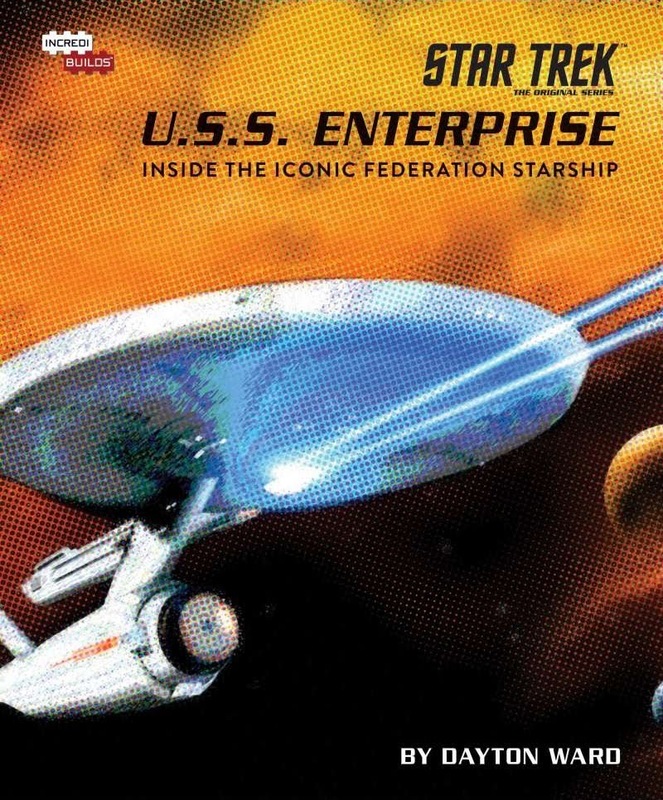 And what I am assuming is the cover of the book. No preview pages for this one at the moment though. StarTrek.com suggest both kits will be arriving in June. 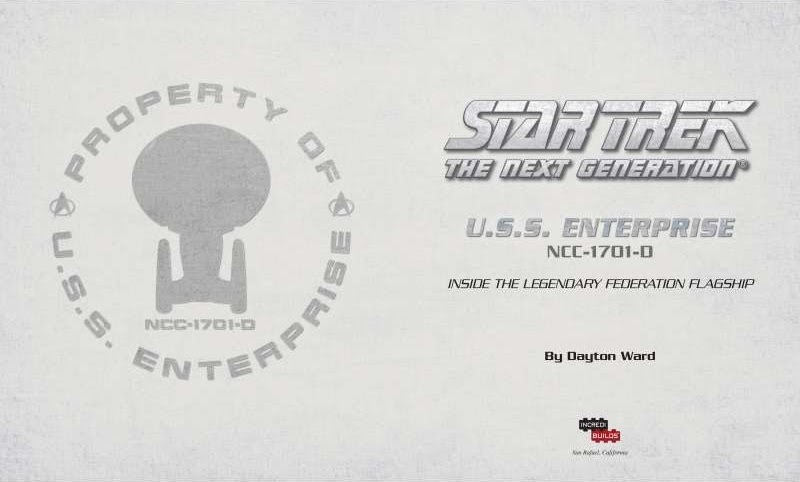 And according to Dayton Ward's blog, Insight Editions are already pondering possibilities for further Star Trek releases in this series. To keep track of all the latest book releases, hit the books button on my 2018 schedule page. 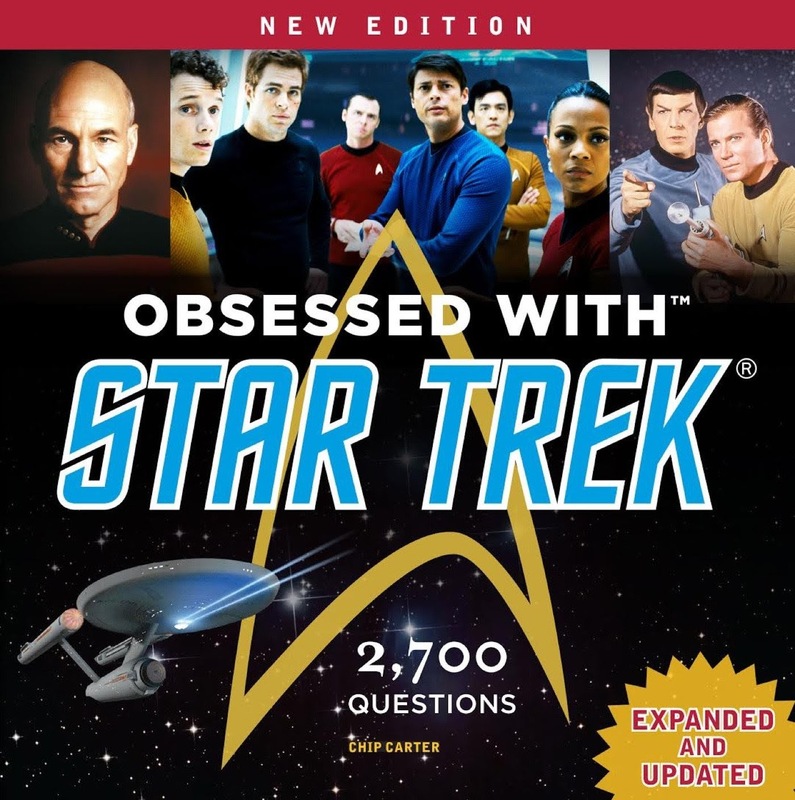 You can also find reading lists and author bibliographies on my dedicated Star Trek lists site.